You get a little more magic because you asked for it! 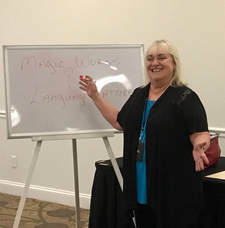 The Magic Words and Language Patterns Workshop recorded in the spring of 2017 is below. Additionally, you will find a bit of video entertainment and visuals of the handouts used. You may choose to listen to the audio only but realize the images of the handouts will be shown on the video. And be aware that there are 2 language patterns used in this workshop that are different from the ones mentioned in the book. You can easily understand how flexible these patterns can be. Don't take my word for it. 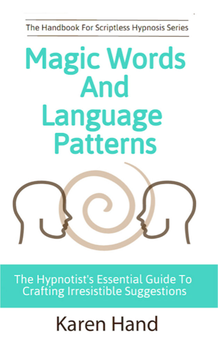 Experiment with the language you already use and create patterns that work best for you. Notice the handouts mentioned are displayed on the video when applicable during the workshop. I wonder if...you stay in touch. Sooner or later, of course, you want to let me know how well this skill is working for you. I will stay in touch with you and let you know about new trainings, books, and occasionally interesting tidbits that I think will help our profession.